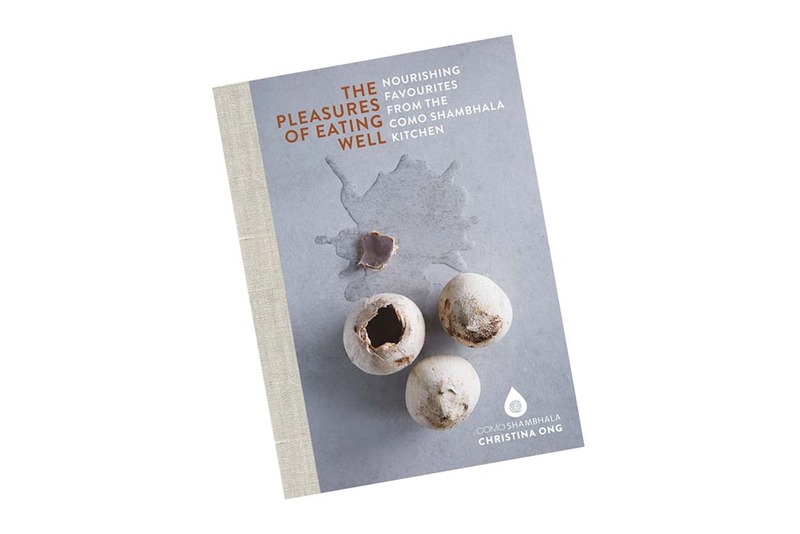 The Pleasures of Eating Well: Nourishing Favourites from the COMO Shambhala Kitchen (Clearview, $73.87). Ever dreamed of bringing the flavours of your holiday home with you? COMO Hotels and Restaurants have compiled their most popular recipes into a cookbook so you can recreate the Shambhala dishes in your own kitchen. There was a time when hotel dining was a disparate affair, with food either falling into the ‘too complicated and expensive’ category or suffering from being little more than an afterthought. Then groundbreaking hoteliers like Christina Ong came and flipped the concept of ‘hotel dining’ on its head. An ‘obsessive’ consumer of cookbooks, her COMO Hotels and Resorts are renowned for signature cooking that has come to be known as COMO Shambhala Cuisine. Dishes are made from the freshest of fresh seasonal, pure and sustainable ingredients, and “honour the belief that our bodies tell us what we need to know”, according to Ong. This emphasis is reinforced with the release of The Pleasures of Eating Well: Nourishing Favourites from the COMO Shambhala Kitchen (Clearview, $73.87), a collection of 147 of the most popular recipes served at COMO Hotels and Resorts around the world (including the stunning COMO The Treasury, Perth, just named one of the best hotels in the world in Condé Nast Traveler’s Readers’ Choice Awards). Here’s a sneak peak of a recipe… From the COMO Shambhala Kitchen: Chilled green goddess soup.